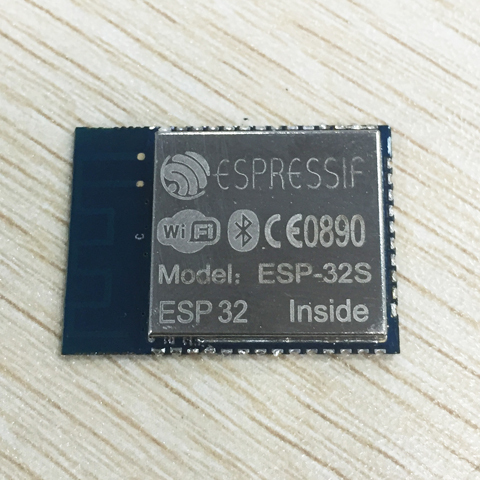 ESP-32S Wifi Bluetooth combo module is ultra high performance and ultra low-power consumption Wi-Fi and Bluetooth combo wireless platform based on ESPRESSIF ESP32 chipset. 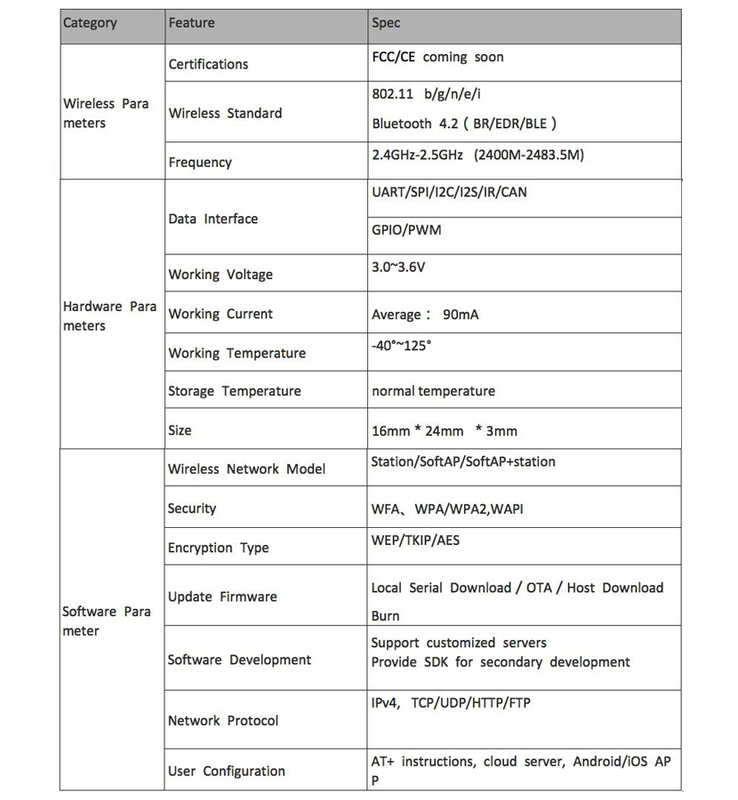 ESP-32S integrates dual-core processor, 448 KByte ROM,520 KByte SRAM,16 KByte SRAM in RTC, 802.11 b/g/n/e/I Wi-Fi, Bluetooth v4.2 BR/EDR & BLE, clocks & Times, abundant peripheral Interfaces and sercurity mechanism. Hackaday will be providing updates as they discover them. 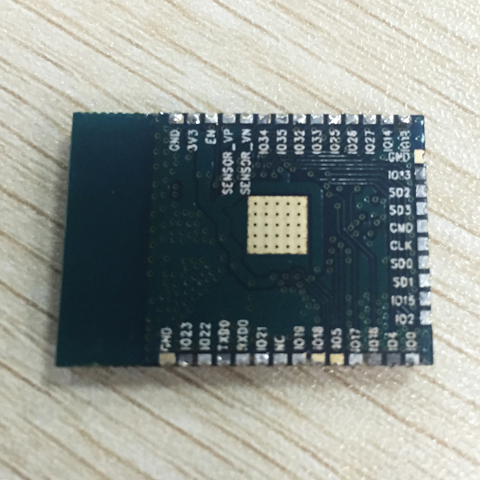 ESP32 is a brand new single chip 2.4 GHz Wi-Fi and Bluetooth combo chip designed with TSMC ultra low power 40 nm technology that is the successor to the popular ESP8266. It is designed and optimized for the best power performance, RF performance, robustness, versatility, features and reliability, for a wide variety of applications, and different power profiles. This is a brand new part and the documentation in English is not yet complete which makes this a perfect part to group buy and hack on.